Jan 11, 2017: Homelab noob looking for guidance and advice. Jan 13, 2017: Family router keeps connection but randomly loses internet. Is the solution another new router or something else? May 09, 2017: Wifi sometimes drops. Replaced router and still happening. Not sure what else to do. Feb 12, 2019: How can I set this up as one network? 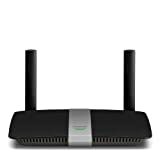 Mar 17, 2019: Internet provider given modem/router is bad, what should I buy?